Meeting the Surrogate is an important part of your surrogacy program as you have full right to know that who gone a give birth to your baby. Yes, you can meet your gestational carrier when you visit India for your surrogacy process. If you are sending your frozen embryos or frozen sperms, we can connect you with the surrogate mother on skype. 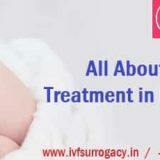 In most of circumstances, the IVF specialist will select more than one surrogate mother (2 – 3) from our database of surrogate mother to prepare their uterus. All the surrogate mothers are clinically evaluated and their family history checked before their induction in our surrogate program. 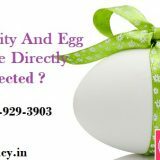 1 – 2 days prior to the embryo transfer date, the IVF specialist will select the surrogate mother on the basis of her general health at that time and her uterus lining. She will select the surrogate with best looking uterus lining to transfer the embryos in her thereby maximizing your chances of positive pregnancy. Do prepare yourself and ask the questions from your surrogate such as about her lifestyle, habits, diet etc. but do not give any specific instructions as they are already guided by their fertility experts and other professionals. Do discuss the hope and expectations from the surrogacy procedure. Surrogacy is a two-way path and both the parties need to understand each other in order to make the right decisions. Do not talk to surrogate about the money as this is a legal matter and get covered during the course of the contract between both the parties. At this point in time, it’s better to focus on the successful chances of pregnancy and enjoy your surrogacy period with your surrogates. Don’t stress your surrogate as this is the period where you both need to mesh and will share the similar hope and expectations from this procedure. The best way to keep your relationship healthy with your surrogate is that you should act normally and let the conversation go in a flow like two friends or relatives are talking to each other. By the end of your meeting, you both are in a comfortable situation to deliver the highest success rate of the pregnancy.